One day closer to the weekend and therefore one day closer to The Arsenal and if ever there was an example of just how tight and tough the current race for top four is, the fact that we are back down to fourth following the Tiny Totts win last night shows just how much of a challenge we have on our hands. Defeat away to Everton – and with our away form that’s hardly beyond the teams of possibility – and we are back to square one and we’ll have played the same number of points as them lot but with a point less. Something has to be done about our away form though. I mean quite frankly it’s shoddy. Is it a psychological thing? We were woeful last season and this seasons form has hardly been amazing. We’re mid table for away form and we’ve conceded one goal more than we’ve actually scored. We have a paltry 19 points and unless we pick up three wins – or at least two and a couple of draws – from our remaining five games, then we can kiss the Champions League through domestic qualification goodbye. Perhaps we’ll catch teams at the right time but Everton is one that you have to have an Alan Partridge confused shrug shoulders meme to explain, because I’ll be dammed if I know which Toffee side turns up. More on that over the coming games I suspect. 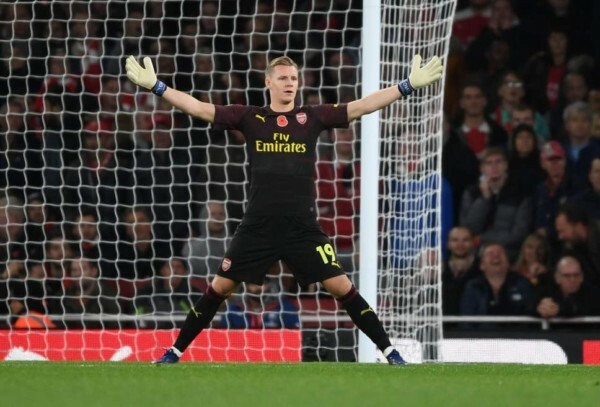 Instead let’s focus on our latest player of the month in Bernd Leno. His was a funny signing because I remember people saying that he was a decent ‘keeper, the right sort of age to progress, yet still a little prone to error and with the benefit of almost a season to have a look at him I’d say that description checks out. He’s made a few dodgy decisions – the third Southampton goal where he was caught in no mans land in December is one that springs to mind – but there’s no doubt he’s been an improvement on where Cech was. Cech has been a great ‘keeper but Leno has improved our team from last season and if you’re looking at individual positions and small incremental changes pointing towards an improved team under Emery, you’d say Leno has ‘ticked the box’ I reckon. His saves against the Totts have hit the headlines and it’s clear he’s got aerial ability, but for me the best thing about his game is his calm composure and distribution, which I feel like many people overlooked in ‘keepers until the last few years. A good goalie who can build up play from the back can be vital and especially with the way that Emery wants us to play you get the feeling that he has been important in articulating Emery’s approach on the pitch. He has some kinks to iron out of his game but this has been a good first season and the fact that nobody is talking about needing any kind of replacement is a big plus for him. One of the things I loved about big Dave Seaman was that he made everything feel calmer in our defence. He wasn’t the most acrobatic of ‘keepers but he had a word class save in him. He just made things feel a lot more assured and that gave everyone a big sigh of relief. That’s what Bernd does with his distribution – if not always the other parts of his game! What I also like is that it’s yet another player who has won the player of the month award. I don’t know if this is always the case and frankly I can’t be arsed to go back and check, but it feels like we’ve had a more even distribution of players this season and that’s pleasing to read. I’m not naive enough to think it’s been an amazing season and we should be back slapping all the players and their amazing form, but it is somewhat comforting that in a season of transition we still have some players who could still potentially step up more. But let’s just see how the season unfolds before we start handing out “we love you” banners to every player. Until then, we wait patiently to see what Unai says regarding team news on Sunday.